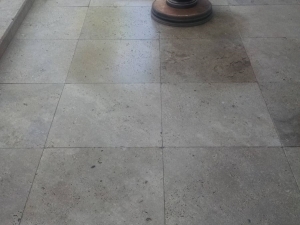 Natural stone can be restored and polished to look as good as the day it was installed for a fraction of the cost of replacement. Most people think that if their natural stone looks bad (dull, stained or scratched) that they can either choose to live with it or they have to replace it. When it comes to natural stone, nothing can be further from the truth. 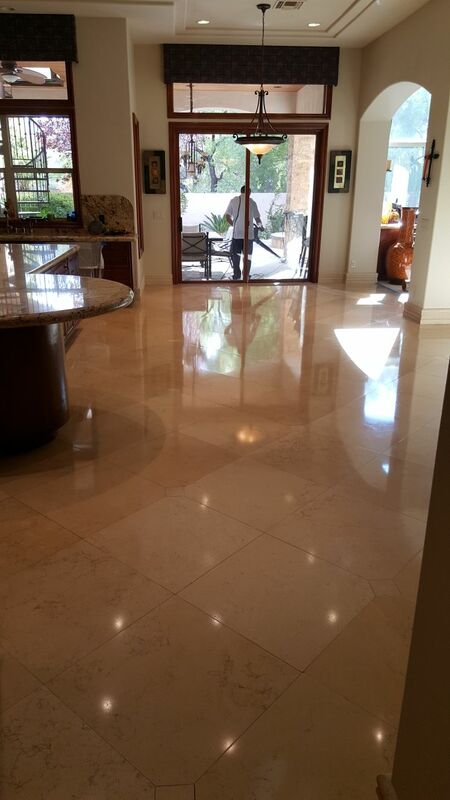 Silver State Floor Restoration can restore your Natural stone to look brand new. Stains and discolorations can be resolved – our cleaning removes deep dirt and stains as it cleans and protects! Dull uneven finishes can be polished or honed to a uniform consistency – our polishing creates a brilliant shine and luster and our honing leaves a flat appearance to your stone and will therefore show less future scratches and blemishes. The stone’s finish itself can be changed from a high polished one to a honed or antique finish or vice versa. Stone and grout can be sealed to protect it – our odorless water based sealer penetrates and protects and is safe for pets. Travertine is very similar to a sponge in that the density of travertine depends on how much stone is present versus the number of air pockets. 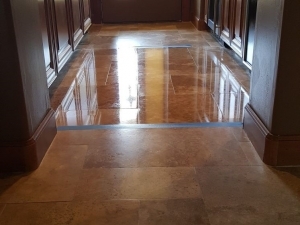 Our custom abrasive process smooths the surface of the travertine without opening up air pockets beneath the surface, which effectively seals the stone and reduces its surface area. Less surface area means fewer pores and pathways that liquids can use to get into the stone. 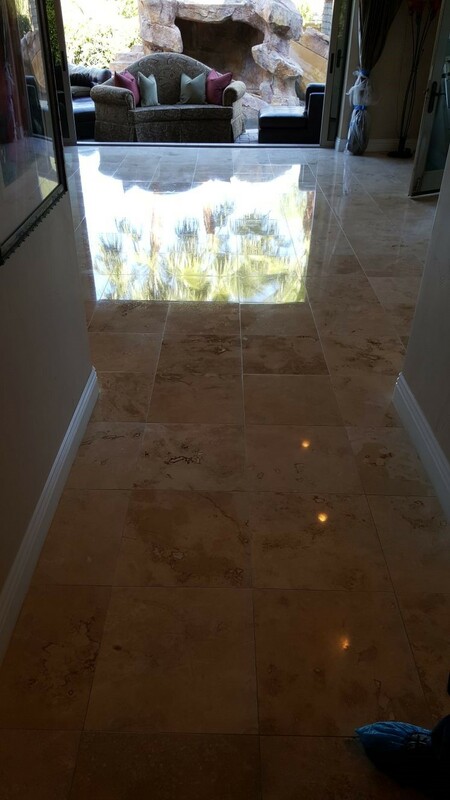 As our polishing process progresses, the travertine becomes more reflective. 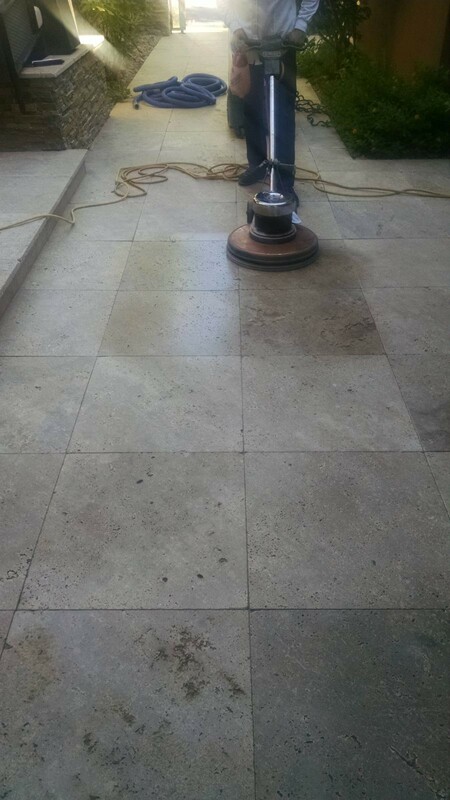 Our travertine polishing is extremely elegant as the more we polish, the deeper you can see into it. 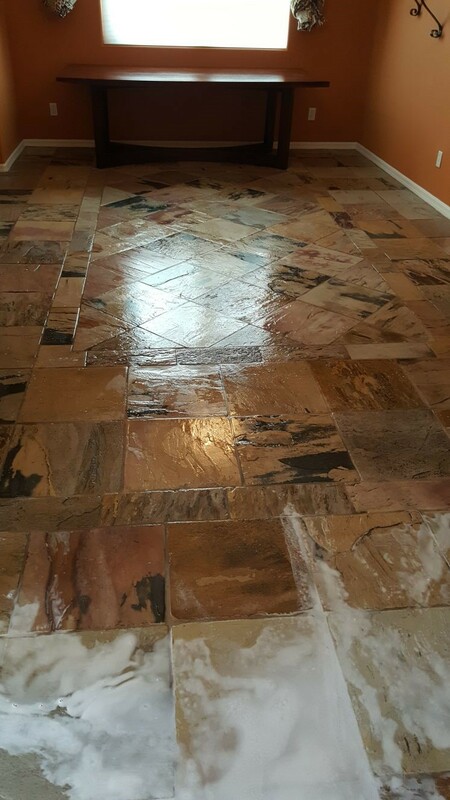 Call us to make the colors in your travertine stone more vibrant, beautiful and easier to clean too! Marble has been chosen as a floor covering for thousands of years due to its beauty and durability. 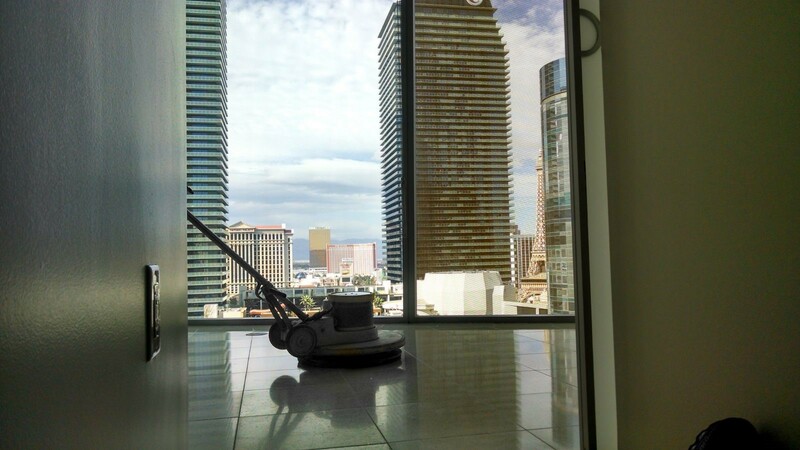 Silver State Floor Restoration employs abrasives such as diamond pads and powders for cleaning, polishing and sealing marble. Marble is a denser stone than Travertine which means less air pockets and less fill overall. Marble comes in a wide variety of colors such as white, black, gray, gold, beige, yellow, brown, blue, green, pink and red. 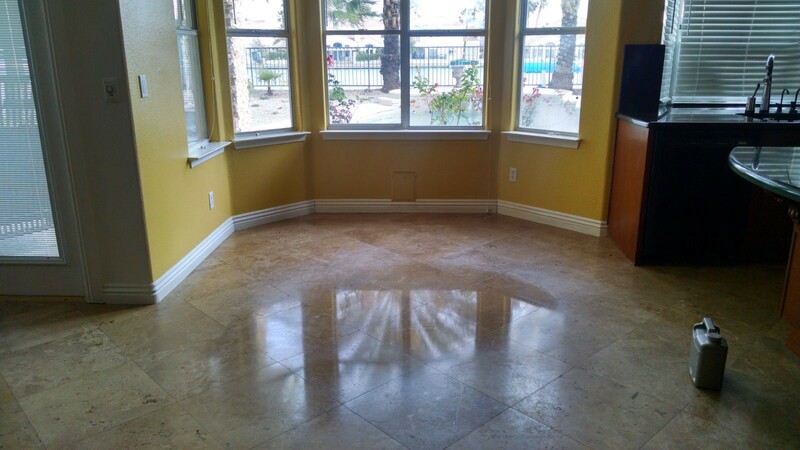 Marble looks its best with Silver State Floor Restoration’s high gloss polishing service. We offer the shiniest finish possible! Honing – Our Honing process grounds the surface of the natural stone to a smooth, flat and consistent surface. For stones with a natural shine such as marble and granite, the shine is removed leaving a matte (unpolished) surface with little to no reflection and no ridges or bumps. It is fairly natural looking but porous and the color will be noticeably lighter than a polished finish. A honed finish is ideal for floors, stairs and other areas that must withstand heavy foot traffic. 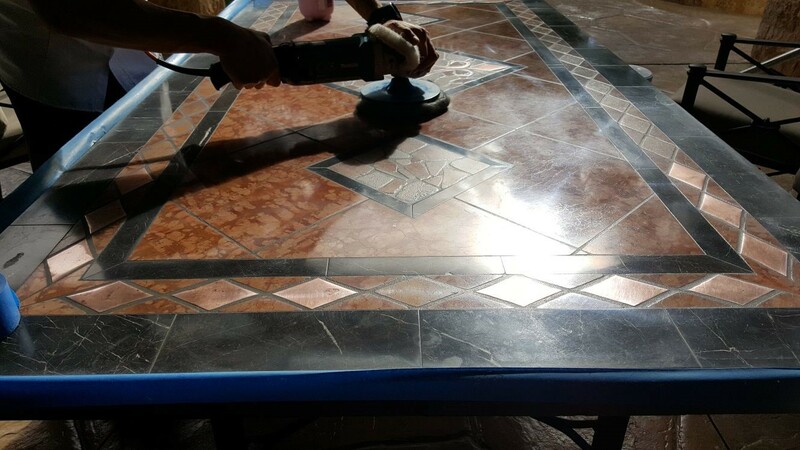 Polishing – Our polishing process achieves a highly reflective surface, which displays the vibrancy of the natural stone’s colors as well as it’s character. It has a very smooth, non-porous texture where the full color and depth is visible. 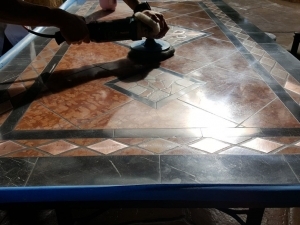 A polished surface is easier to keep clean and free of stains because the process closes and seals the pores of the stone’s surface as well as repels moisture. We Clean Bathrooms & Showers, Kitchens & Counter Tops, Floors & All Other Hard Surfaces! A well maintained natural or man-made stone floor will not only provide a healthy environment but generate a lasting value that can also raise your homes value or business revenue exponentially. 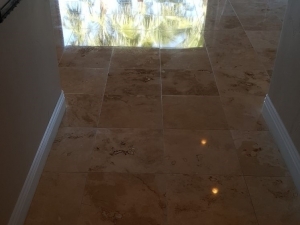 Las Vegas Floor Restoration can bring out the natural shine of your stone floor by polishing it to a deep mirror like reflection. 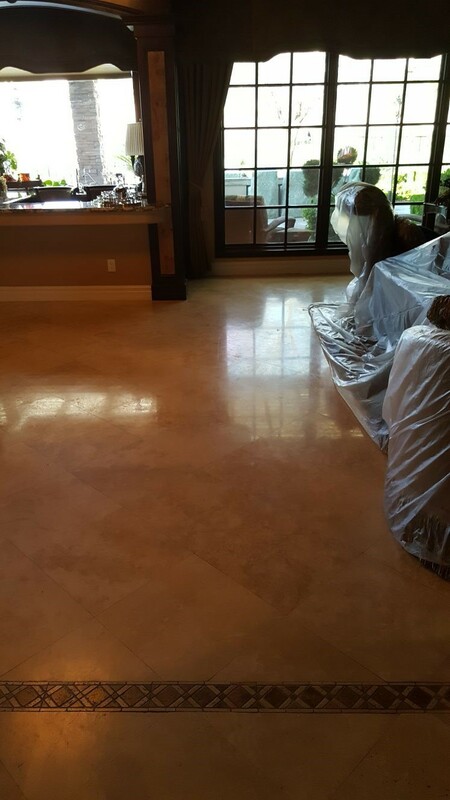 We can apply a variety of finishes to your travertine, marble or any stone floors, walls, tables or counter tops. 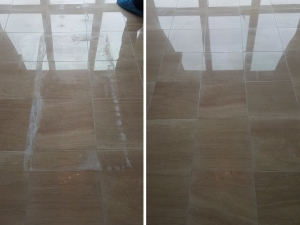 When cared for properly, your marble floors can last a lifetime! But foot traffic, spills, age and the elements cause many marble surfaces to lose their luster and shine over time. 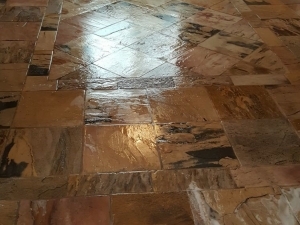 Silver State Floor Restoration’s team of experts can restore your natural marble stone to a like new appearance with our comprehensive range of marble restoration services. 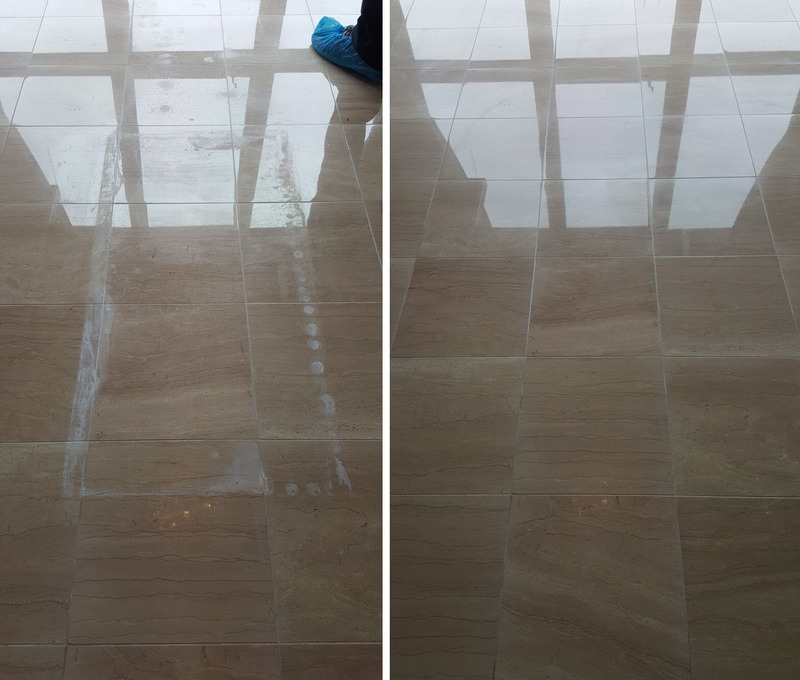 And once we restore your marble, we’ll offer routine cleaning and maintenance services to keep it looking amazing! Our knowledge of cleaning and sealants will have an fantastic result. 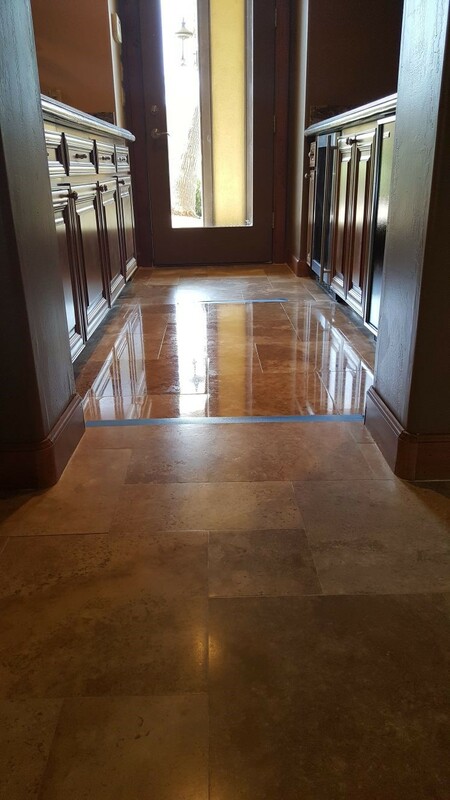 Our certified service technicians are highly trained and have extensive experience with every type of natural stone surfaces including marble, travertine, granite, slate, soapstone, terrazzo, saltillo and more. 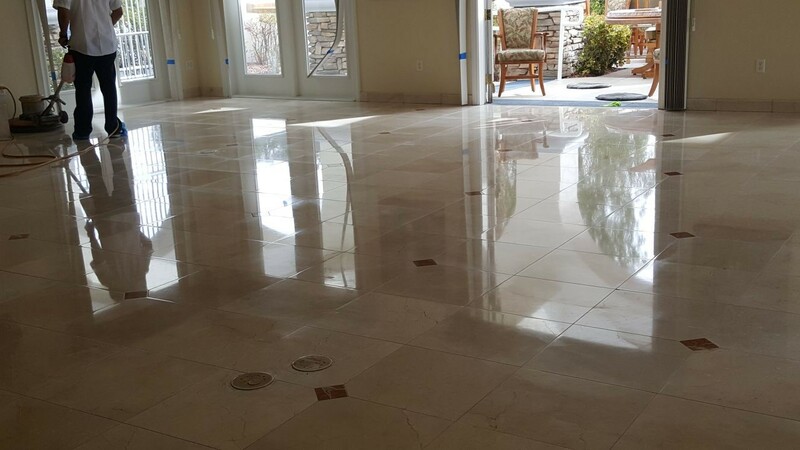 If you have a marble or other stone floor that has lost its original beauty, it’s time to contact Silver State Floor Restoration! 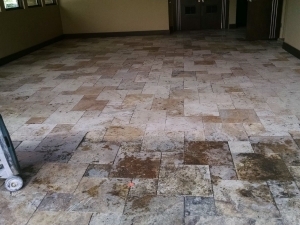 Our tile cleaning removes any signs of neglect and old age. 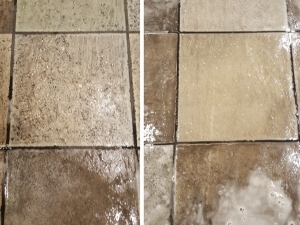 We can clean and acid wash your tile and grout. 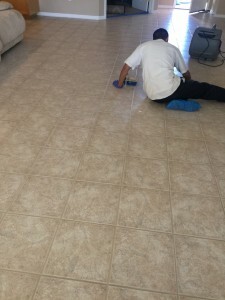 The grease and grime that has accumulated in the porous grout lines will be gone leaving a sparkling floor that looks like new. 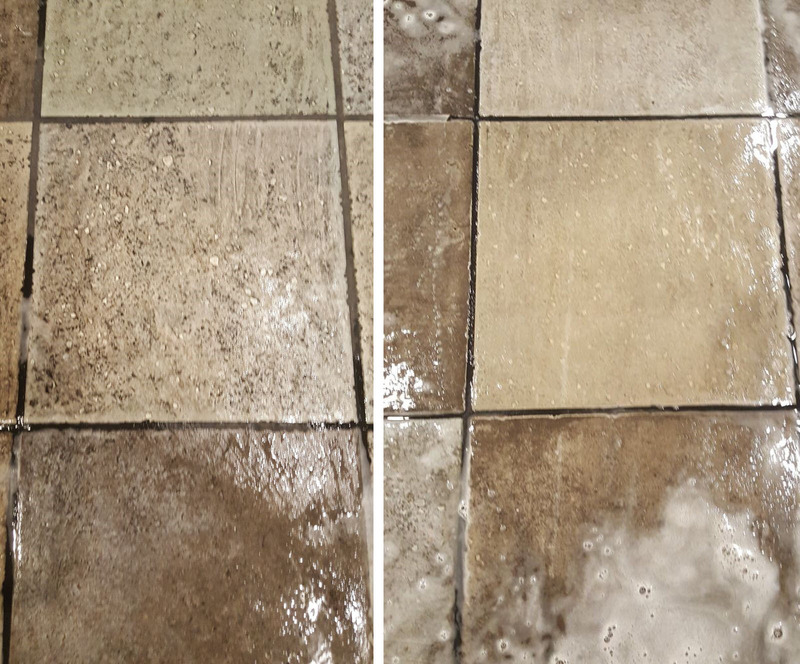 Our tile and grout cleaning not only cleans deep inside of the tile and grout lines, but also kills most of all the germs! 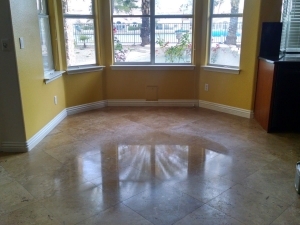 Silver State Floor Restoration can clean ceramic, porcelain, quartz and other manmade tile. 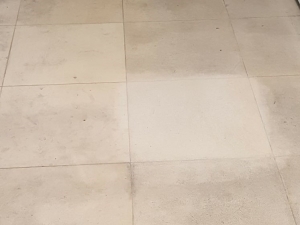 In addition to our quality tile cleaning service, we can protect your grout from getting dirty again by coloring it with any of the 100 colors that we have available. We can achieve whatever new or old look you desire, whether you want to go a lighter or darker shade, or even a different color altogether. Contact us to learn more! 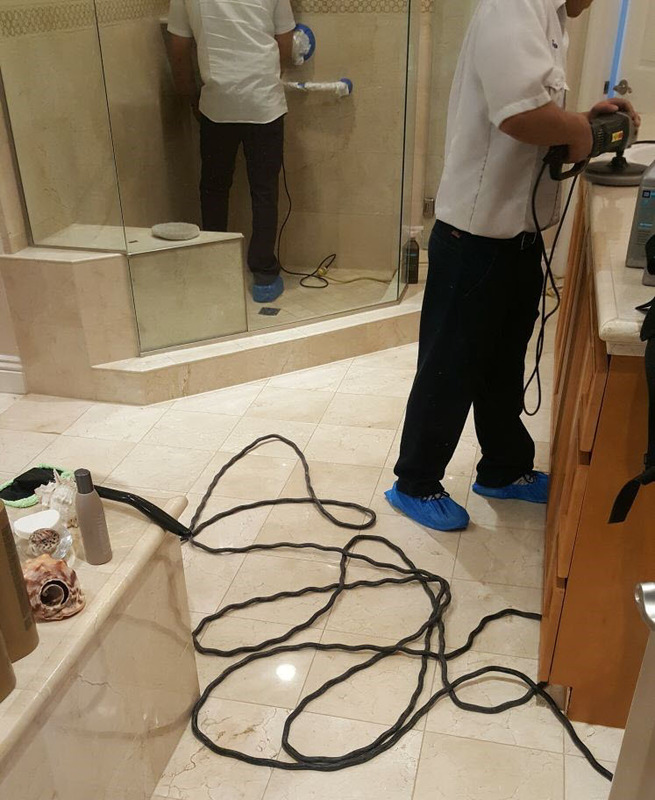 More often than not, tile and grout used in commercial businesses and residential home of the Greater Las Vegas, NV area require a sealing every so often. Sealers are usually applied after installation, but time and regular cleaning can cause the sealant to fade away. Sealers are not required on all types of tile and grout, but the majority of tile and grout should be sealed. 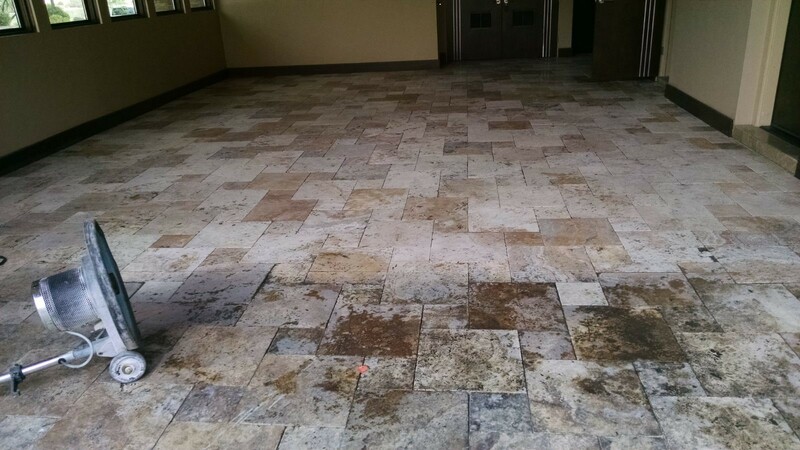 The sealers help make the tile and grout resistant to staining and to the buildup of debris that occurs without it. 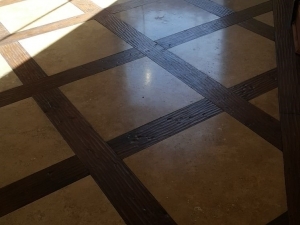 The sealer in many cases, can also help make the tile and grout more durable. 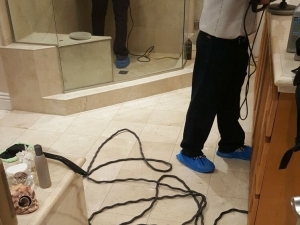 Following a Silver State Floor Restoration tile and grout cleaning, we recommend a sealing service to protect your tile and grout where it is applicable. 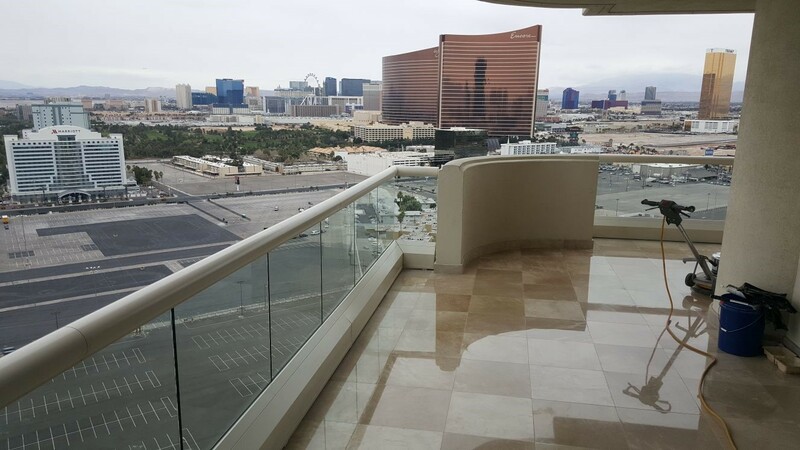 Concrete cleaning and sealing are among the many quality services we offer to the Las Vegas valley locals. With concrete available in a wide range of colors and textures, they are a popular flooring choice for interior and exterior flooring. 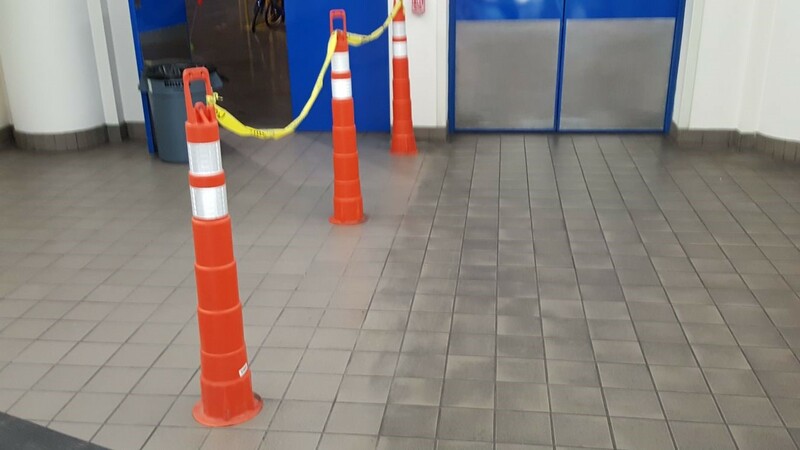 Silver State Floor Restoration offers cleaning to remove heavy foot traffic wear and stains, and restore the cleanliness of your concrete. 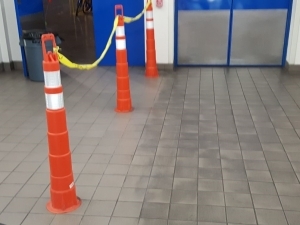 And to ensure it stays looking great for longer, we also offer concrete sealing to repel water, grease oil and abrasive substances such as dirt and debris. Our concrete sealants enhance resistance to weather exposure and other contaminants. Contact us to schedule an appointment today! 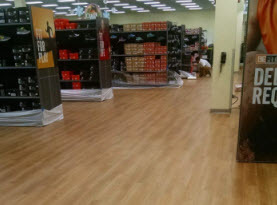 Vinyl composition tile (VCT) flooring is more commonly seen in commercial buildings. Silver State Floor Restoration offers VCT striping and waxing services to better preserve flooring as well as keep it looking its best. We use a high quality wax with a high percentage of solids to creates a longer lasting and more brilliant shine. 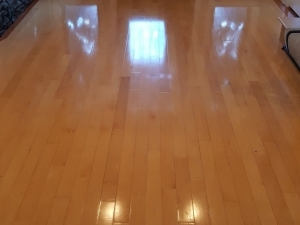 Your VCT floor will appear new for a longer time period and its useful life will increase as a result of our proven stipping and waxing methods and procedures. 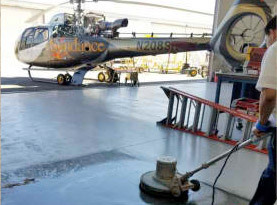 Silver State Floor Restoration has been cleaning hard floors since the 90’s. Our deep cleaning of hardwood floors goes far beyond your DIY attempts with mop or broom that simply moves the dirt around. Our hardwood floor cleaning removes the ground in dirt from cracks and crevices that is dulling your hardwood floors. Not only does our hardwood floor cleaning result in cleaner, brighter floors that are impressive to behold, but it also improves the air quality and air flow in your home. 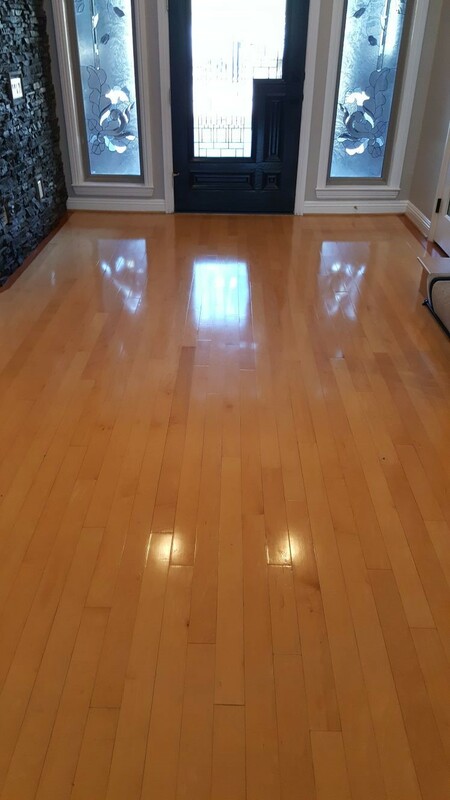 After a thorough deep hardwood floor cleaning, we restore the pH balance to your floor with a professional grade wood cleaner, which removes any remaining dirt and residue. Our entire hardwood floor cleaning process is non-toxic and low-odor. 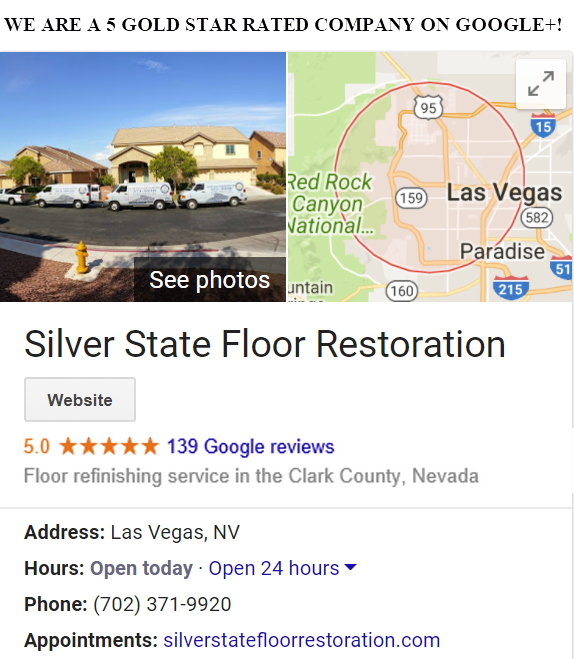 Silver State Floor Restoration meticulously cleans the deeply rooted buildup and debris of your ceramic tile and grout, whether it is found in a commercial business or residential home in the Las Vegas Valley. 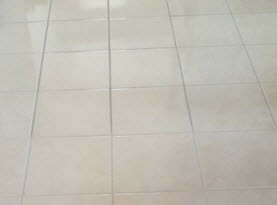 After our cleaning service, your ceramic tile and grout is vibrant and beautiful once again. Like porcelain tiles, ceramic tiles don’t always require sealant, and depending on ceramic tile, sealing may not be needed. 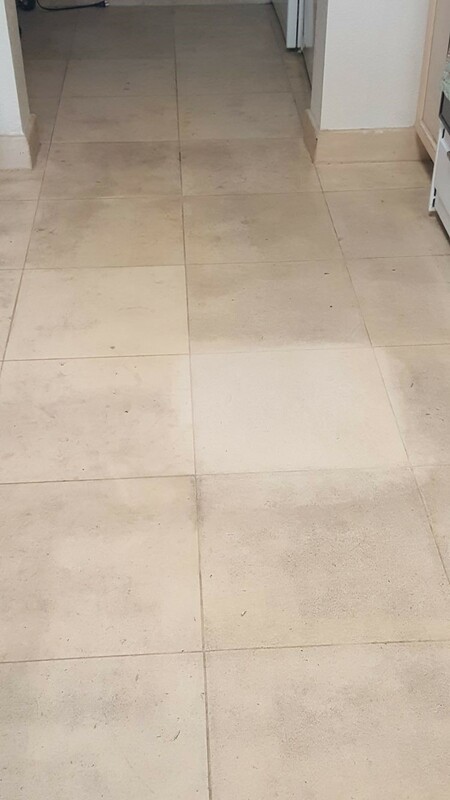 Our specialists have been trained to distinguish the need for appropriate cleaning and sealing methods on all ceramic tiled surfaces. 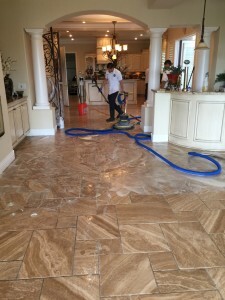 Travertine Cleaning and Sealing Services is among the many services we offer. Travertine is commonly found in many homes and businesses, it is a form of limestone deposited by mineral spring, especially hot springs. Its elegance and charm can really be a dynamic focal point, but when it becomes dingy and lifeless, it can make the whole room appear drab and grimy. 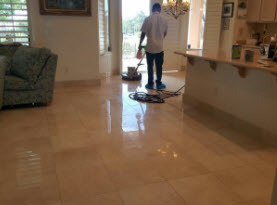 That’s when you need Silver State Floor Restoration, our expertise and professional grade equipment and detergents can get your travertine floors clean and vibrant once again. 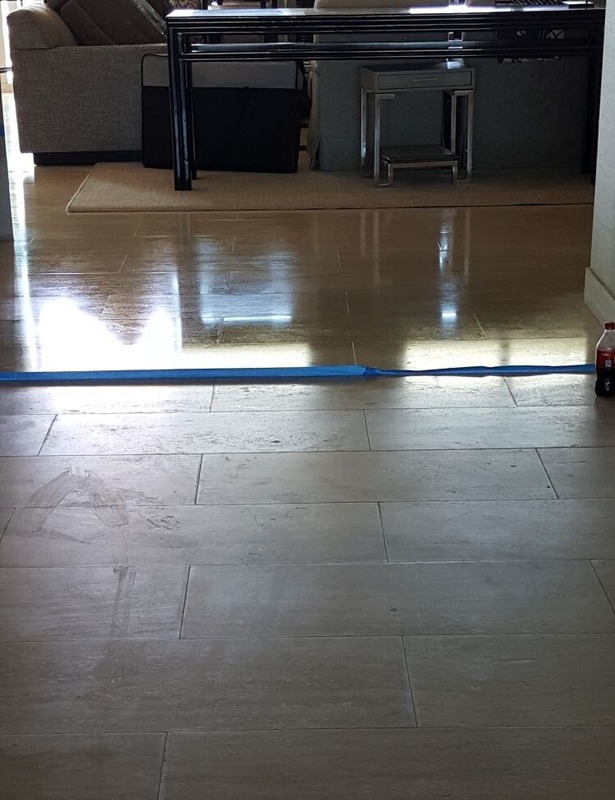 After Silver State Floor Restoration our professionals not only have the knowledge and supplies to give travertine a beautiful deep clean, but we can also perform a Travertine Sealing service as well. 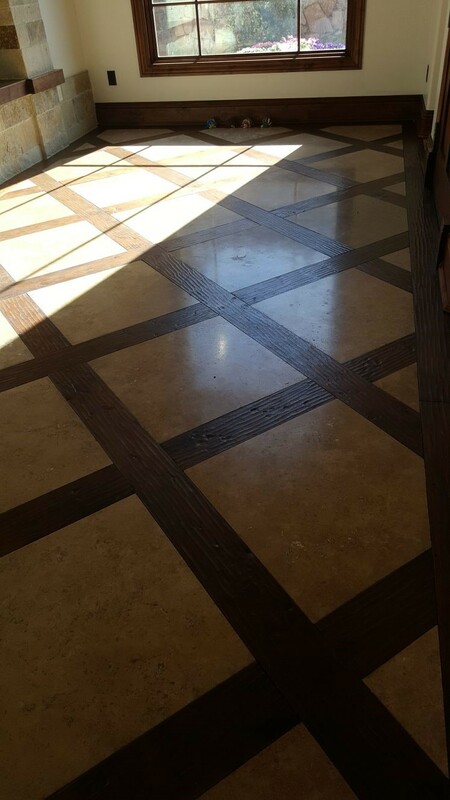 Sealing the travertine can better protect the stone from acids and foreign substances the Las Vegas deserts can deposit, to better increase the longevity of your travertine floor. 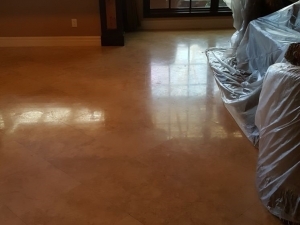 Sealers are designed to fade over time, and with continual maintenance, sealers can continue to protect your travertine floor. Marble is a soft stone; it can quickly become dull and scratched, especially in high traffic areas. 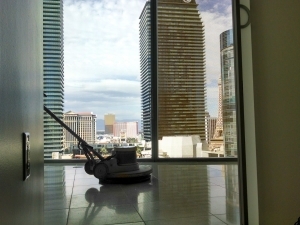 With the Las Vegas deserts being tracked in, it causes traction that can scuff up the marble, but thankfully, Silver State Floor Restoration has a Marble Cleaning and Sealing Service that can remove the filth and keep it better protected with our high grade sealers. 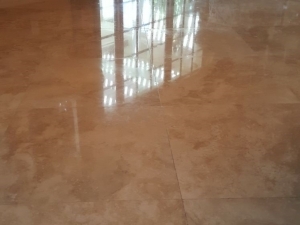 Our technicians are not only trained and certified to care for your marble, but with their skills and talents, combined with state of the art equipment and high quality detergent, your Marble Cleaning Service will be performed with precision and care. Often marble will lose its luster, and a cleaning isn’t enough to restore the shine. 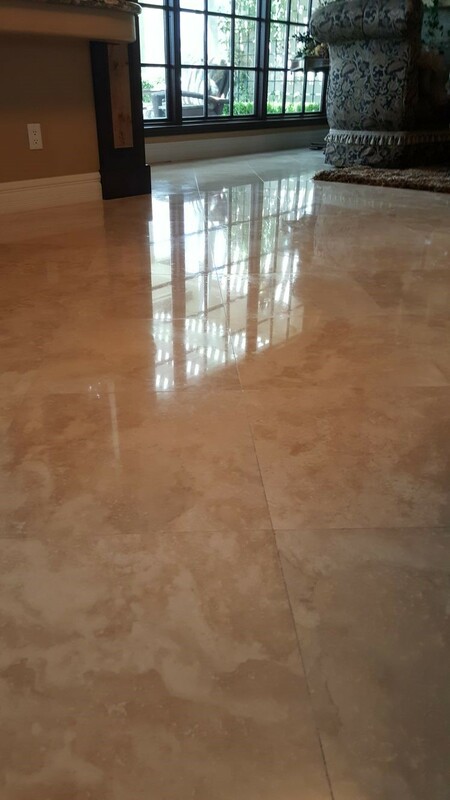 With our added marble shining your elegant marble floors will be shiny and stunning once again. 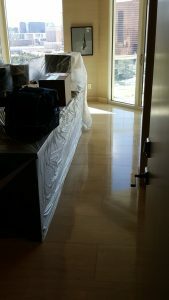 Marble Sealing Services are also available with Silver State Floor Restoration. 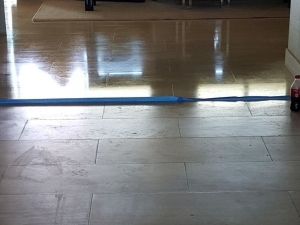 Sealers are designed to preserve the life span of your marble floor. 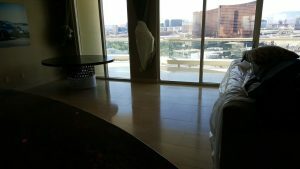 The gritty debris the Vegas deserts supply can easily end up on your marble floors; the sealers provide a barrier to protect the marble. After time however, sealers need reapplication for continued protection. Las Vegas | Henderson | Summerlin | North Las Vegas | & All Surrounding Areas!